On Tuesday, May 20th, the Subcommittee on National Parks, Forests and Public Lands will hold an oversight hearing on “The Future of the National Mall.” The hearing starts at 10:00 a.m. in Room 1324 Longworth House Office Building. 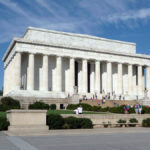 In 2003, the U.S. Congress placed a moratorium on the construction of memorials on the National Mall, stating that the Mall is a substantially complete work of civic art and that future memorials must be located in other prominent places in the city. In 2006, the National Park Service (NPS), the agency charged with management of the majority of the land and memorials housed on the Mall, began an ongoing effort to draft the National Mall Plan that will guide management and further improvements on the Mall over the next 50 years. With so much of America’s history, culture and national identity at stake, the Subcommittee will hold an oversight hearing to ensure that the final plan – which will affect the Mall for generations to come – truly represents the voices and best interests of the American people. The following witnesses are scheduled to testify: Congresswoman Eleanor Holmes Norton (D-DC); Peggy O’Dell, Superintendent, National Mall and Memorial Parks, National Park Service, Department of the Interior; Harriet Tregoning, Director, Office of Planning, Government of the District of Columbia; John V. Cogbill, III, Chairman, National Capital Planning Commission; Arthur B. Spitzer, Legal Director, American Civil Liberties Union of the National Capital Area; Judy Scott Feldman, PhD, President, National Coalition to Save Our Mall; and John E. “Chip” Akridge, III, Chairman, Trust for the National Mall. Visit the Committee’s Web site to access witness testimony following the conclusion of the hearing.